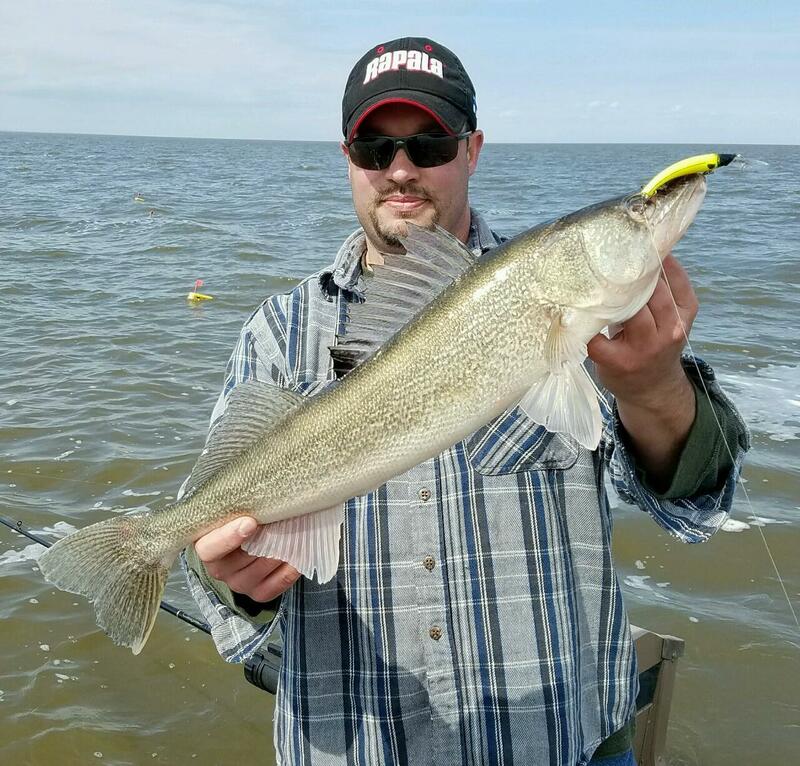 Bay City Area walleye were being taken in a variety of locations including off Gambil’s Marina near Pinconning, off Linwood in 15 to 20 feet of water and off Bay City State Park in nine to 15 feet of water. 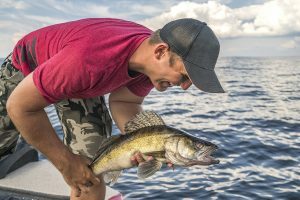 Others reported walleye catches off the mouth of the Kawkawlin River in 12 to 15 feet of water and a mile northeast of the Spoils Island and out near the Spark Plug Buoys numbers 11 and 12. There were also walleye anglers reporting fish catches off the mouth of the Quanicassee River. Pink and purple lures were productive. Both crankbaits and crawler harnesses were taking fish. Shore anglers in the Saginaw River at Essexville took a few channel cats. 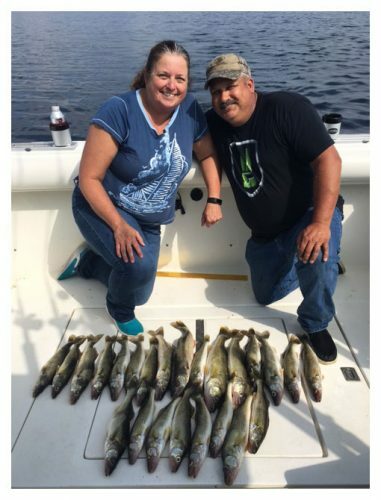 Au Gres Area boat anglers were taking a good number of walleye trolling off Point Lookout, off the mouth of the Au Gres River, and off Pointe Au Gres in 10 to 25 feet of water. Shore anglers casting at the mouth of the Au Gres River also took a few walleye and the odd pike. Oscoda Area: The Oscoda pier is picking up slowly. There are reports of walleye being caught late at night and early morning on body baits in silver, UV and clown. Steelhead are still making their way up river and onto the beds in good numbers. Spawn, fly’s, trout beads, spinners and body baits are all producing well. 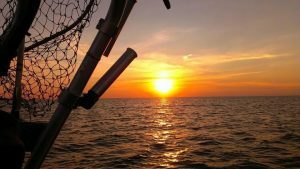 Tawas Area: There’s been a decent amount of trolling activity in Tawas Bay and south, with a fair number of walleye and a few pike being caught. 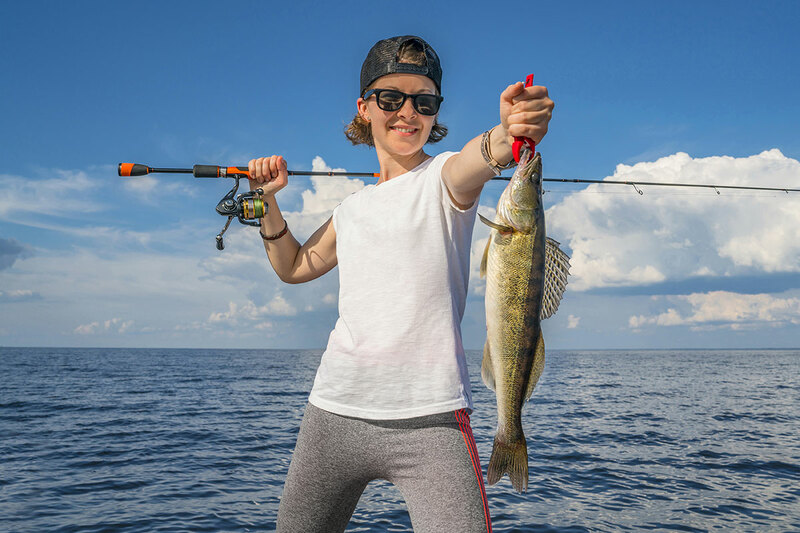 Walleye were hitting both crankbaits and crawler harnesses and were being caught in a variety of locations around Tawas Bay and also down off Whitestone Point. 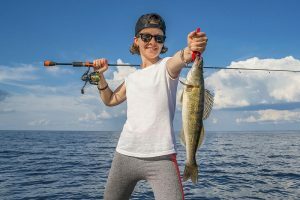 Shore and wading anglers casting crankbaits and jigs were taking some walleye and pike beside the State Police post and also at the mouth of the Tawas River. Spring is often a perfect time to fish for steelhead in Michigan’s rivers. Did you know our state is thought to offer some of the best steelhead fishing in the country? 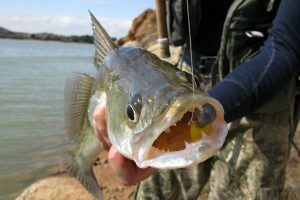 A variety of techniques can be used to fish for this aggressive species; including live bait, artificial lures and flies. Rivers all across Michigan provide access for steelhead fishing. Some better-known rivers include the Betsie, Grand, Little Manistee, Manistee, Manistique, Pere Marquette and St. Joseph rivers in the Lake Michigan watershed, the Au Sable River in the Lake Huron watershed, the Huron River in the Lake Erie watershed, and the Huron and Two Hearted rivers in the Lake Superior watershed. Want more information on steelhead fishing in Michigan? 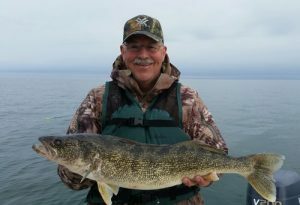 Visit their section on the DNR’s Michigan Fish and How to Catch Them website.